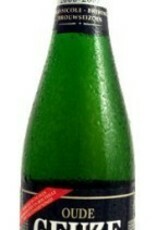 "Oude Geuze Boon is a monument of taste with an alcohol content of 7%. It’s a magnificent blend of 90% mild 18 month-old lambic, 5% strong three-year-old beer and 5% very young lambic, which provides fermentable sugars and wild yeasts. All our beers are aged in oak casks, mixed in a vessel of 25,000 litres and chilled. Before bottling, we bring the mix to fermentation temperature. The bottles are then placed in an air-conditioned room, which leads to a secondary fermentation in the bottle. This is when the lambic becomes gueuze. After several months of aging in the bottle, the gueuze develops its delicate flavour. Want to know the bottling date? Simply subtract 20 years from the best-before date!"